There are so many different forms, brands, and types of foundation on the market, that it can tend to make your head swim. Lots of women I work with say they get so confused as to what to buy, that they just decide to forgo wearing it all together. Sad face 🙁 I think as we get older, we could all benefit from some form or another of foundation to even out our complexion, even if just a little which helps reverse the look of aged uneven skin tone. When I say the word “foundation” a lot tend to think cakey and thick looking makeup. 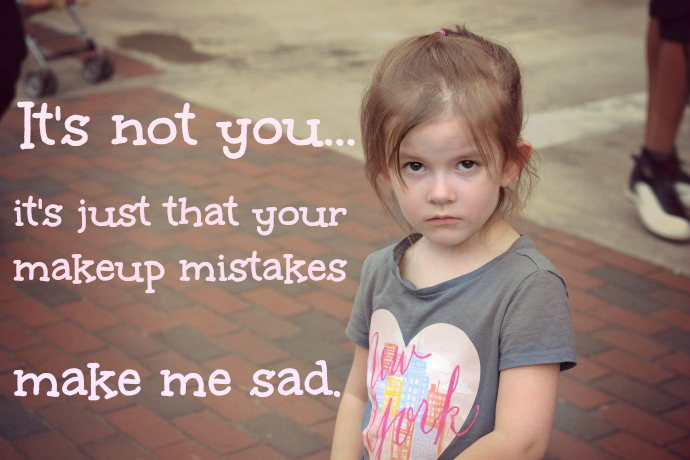 Not the case. There are plenty of non-cakey options out there and I’m here to help you navigate through the choices. There is 1 main thing to consider when figuring out which kind is best for you… What type of COVERAGE do you want? Minimal, moderate, or maximum? Then of course you need to take into consideration your skin type – if you’re normal, you’re lucky, you can wear most types. If you are oily, you need to go towards a formula that is “oil free.” And if you’re dry, then look for a hydrating formula. 1. 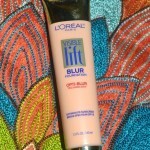 Tinted Moisturizer – precisely what is says, a moisturizer with a little bit of color added to it. All skin types can wear this because even oily skinned gals need moisture, just get the oil free kind. If you’re new to the foundation game, this is an easy way to transition into it. I put it on just like I would my moisturizer, with my hands and rub it in. 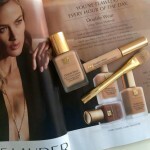 Most popular : Laura Mercier Tinted Moisturizer, $43. 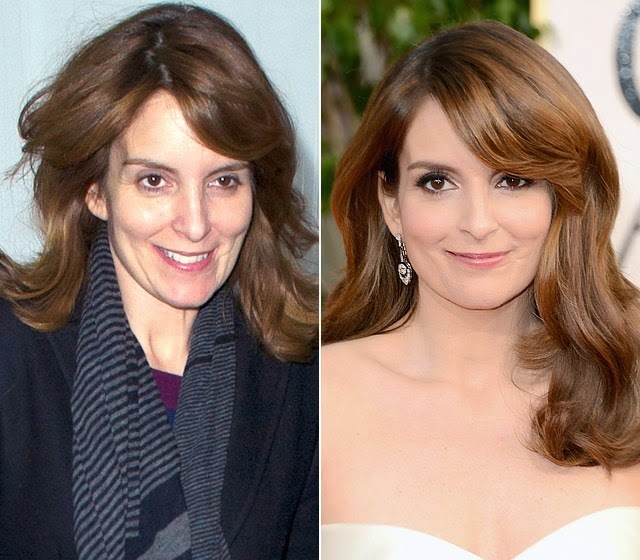 Funny lady Tina Fey without & with foundation. She seems perfectly happy bare faced but looks absolutely radiant and fresh faced with a little bit of coverage! 1. 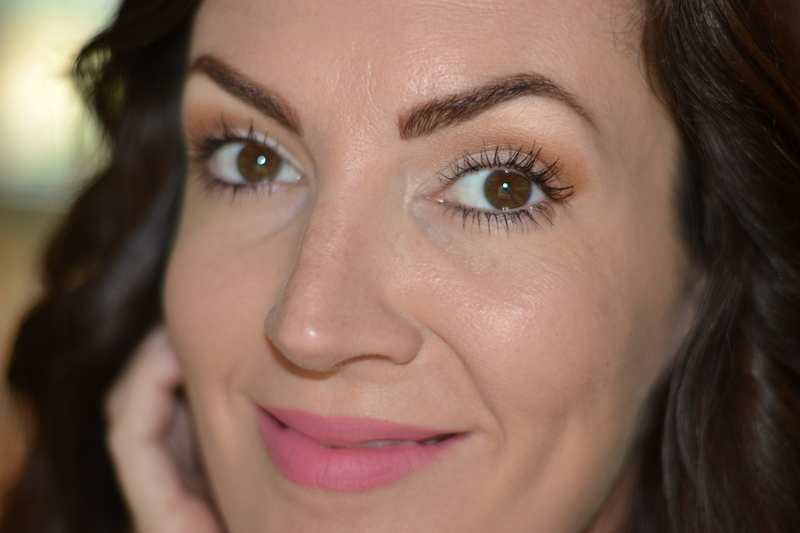 BB Creams & CC Creams – BB stands for beauty balm and I consider it the “mom of makeup” because it multitasks. It’s got a got moisturizer, SPF, and a primer added all in one. It is the ultimate skin perfecter. I apply this also like I would a moisturizer, with my fingers and all the way down my neck. Most popular : Smashbox Camera Ready BB Cream, $39. CC stands for color corrector and is very similar in finish and function to a BB but it promises to address issues over time like redness and discoloration and can tend to have a bit of a lighter feel than a BB when on the skin. Most popular : Clinique Moisturize Surge CC Cream, $35. 2. 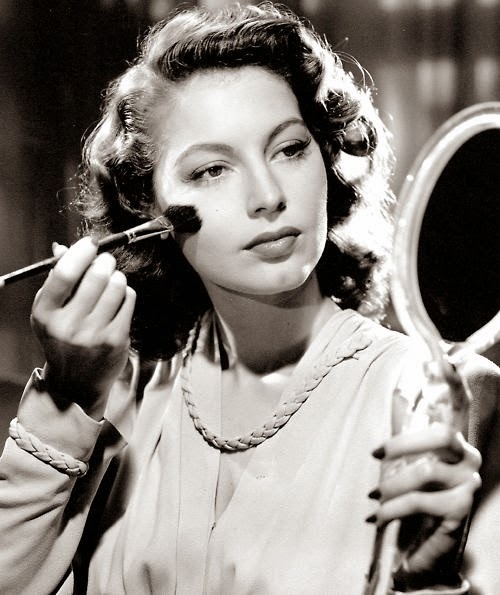 Powder Foundation – This is what I started on as a teenager when I was first introduced to makeup for my skin. It’s easy, compact, and can be applied with a powder puff for fuller coverage or a brush for lighter coverage. They can be pressed or baked – the baked ones are lighter whereas the pressed types gives a more opaque finish. Most Popular : I still use MAC Studio Fix Powder Foundation, $27. 3. Mineral Foundation – This product is literally minerals grounded up to become makeup and usually in the powder form (however they do now make liquid ones). These are typically good for sensitive skinned ladies and those who tend to breakout easily. Beware- some claim it’s natural enough and good enough for your skin to sleep in it – no, no, and no. No makeup is good enough to sleep in, bare skin is where it’s at. Most Popular : L’oreal Paris True Match Naturale Mineral Makeup, $16. 1. Liquid Foundation – Like it claims, it is liquid in form and is what we all typically think of when we hear foundation. It can come in multiple finishes and forms for all skin types – from mattifying to sheer, from oil free to hydrating. It can also easily be layered to give you the full amount of coverage or not. I don’t think there is any right way to apply it, I say go with what looks best and feels best for you. Some use their fingers bc the warmth of the fingers makes it melt into the skin (I find that messy), some use a foundation brush (this is how I do it on my clients), and personally I use an egg shaped sponge! This is a hard category to decide on the most popular so I’ve included the brand I use on all of my clients in my makeup kit bc they have a great range of shades : L’Oreal True Match Foundation, $12. 2. 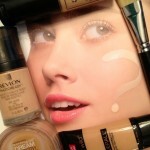 Cream Foundation – This is basically a thicker or more opaque form of a liquid foundation. It is typically good for drier skin (I love a cream foundation bc my skin is super dry) and comes in a jar or compact form. I like a sponge and foundation brush for this type of application. Most Popular : Maybelline Dream Smooth Ultra Hydrating Cream Smooth Mousse, $9. Do you wear foundation and what is your favorite?